Axiom Verge is our Physical Indie Game of the Week! (Should we call them phindies? Editor’s note: absolutely not) Axiom Verge is a well-known indie game notoriously developed by one-man studio Thomas Happ. 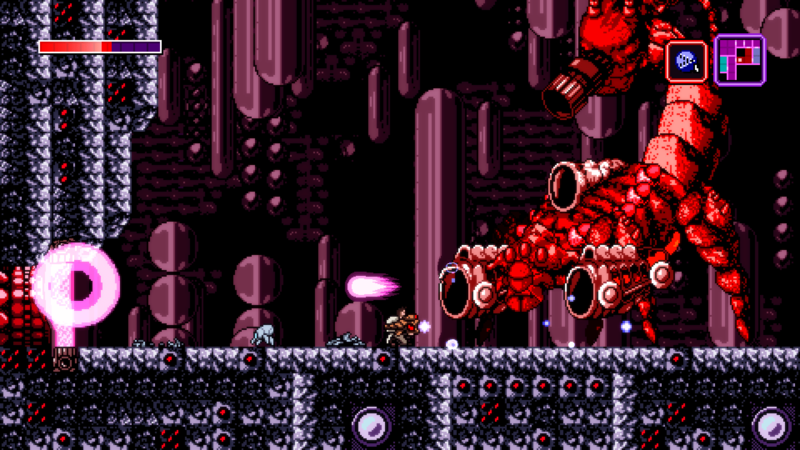 The game is a Metroidvania side-scroller that takes much of its inspiration from the 16-bit era. The game originally released in 2015 on PlayStation 4 and PC. In 2016 it made its way to the PlayStation Vita, Wii U, and Xbox One. Finally, in 2017, it arrived on the Nintendo Switch. The Wii U copy won’t be the first time Axiom Verge has received a physical release. As a matter of fact, the game boasts 2 prior physical versions. A very limited release via IndieBox, and an actual retail release published by BadLand games. In addition to becoming a retail title, the game also came in a special “Multiverse Edition.” That retail version came with some extras. 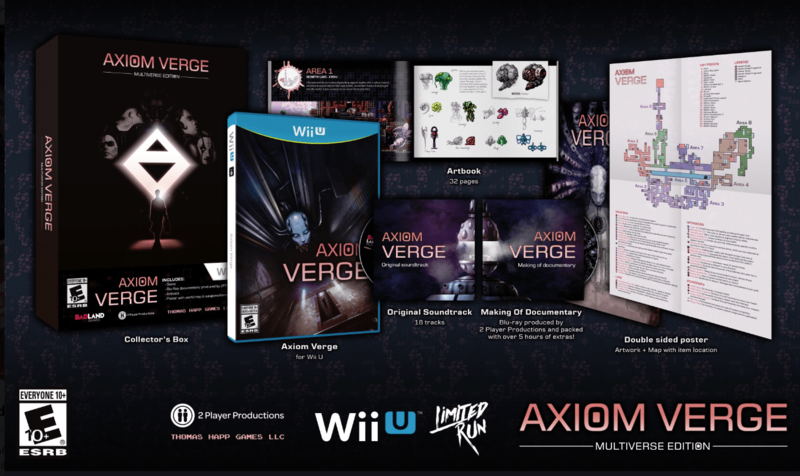 The physical Wii U edition of Axiom Verge is technically the same as the previously released “Multiverse Edition.” It includes a poster, soundtrack CD, art booklet, and making-of documentary. The original Wii U release was delayed when the developers ran into some troubles with their publisher. Axiom Verge has recently come forward with more information regarding the delay. The Wii U physical release had encountered obstacles for years, including a string of expensive legal problems. In the end, Axiom Verge will at last be obtainable on disc for Wii U. The saga will unfortunately not be entirely over for the developers and publishers, but at least they’ll get to say their game was the one to come out on a, now outdated, Nintendo system. Axiom Verge for Wii U will be available for purchase on March 29, at 10 am EST. It can be bought for $39.99 USD from Limited Run Games.